Today, he wants to help others understand how important it is to be the one you are, to talk and to live. Dan Eriksson was born in Arjeplog and lived the first years of his life in Laisvall together with his parents and six siblings. When he was ten, his father suddenly died of a heart attack, and the family had to move, as they lived in miners’ housing. Dan’s Sámi roots extend far into the past, but, for a long time, Dan was not especially interested in his background. When describing himself as a small boy, Dan Eriksson tells that he was a happy and wild boy, who became interested in singing already in Sunday school. In puberty and in his teens, Dan found himself being more interested in boys than girls. It was an instinct he tried to suppress as long as possible. «I was full of my own prejudices,» he explains. Dan moved in with a woman, and they got two children. He had a good job and was active in sports. It worked in a way. But Dan did not feel good. His mental health issues became worse and worse, and, during this period, he suffered from psychoses, depression and social phobias. Dan was in low spirits and his joy in life faded and disappeared. 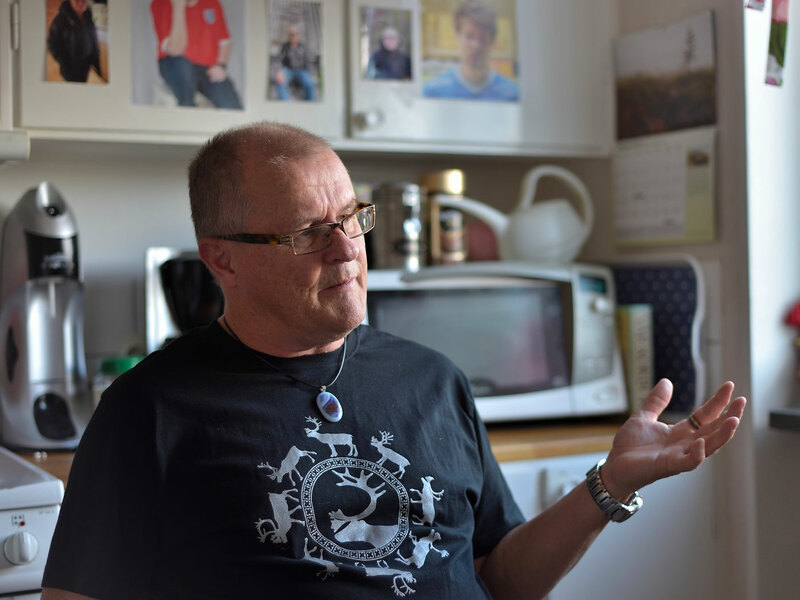 Finally, Dan Eriksson felt that he only had one alternative – to end his life. As a result of these thoughts, Dan took an overdose of sleeping pills one night when he was at the summer cabin together with his family. «You get to the point where you no longer have the energy to think about the children and your near relatives. How can you do that when you’re too tired even to live with yourself? A person who takes his life is the most lonely person in the world,» Dan says. But life did not end there. Dan Eriksson was taken to hospital, and when he woke up in the intensive care unit, at the age of forty, he only had one wish in his mind. The resources of society are not always enough in the kind of situation Dan Eriksson was in. Some years later, Dan made a new attempt to end his life with pills. That time, he was alone. But right after swallowing the pills he called a last phone call – to a woman she describes as his very best friend: Edit, who is now 86 years old. Today, Dan Eriksson lives alone. He has been diagnosed with bipolarity and needs lithium medication to keep his illness under control, but he is happy. Dan’s spouse was not especially surprised when Dan told her about being gay. They are still good friends. After that, Dan told about his sexual orientation to his two sons, his siblings and his friends. At present, he tells about his orientation to everyone who wants to know and gives speeches on how important it is to talk and to accept yourself. No-one, not a single person, has reacted the way Dan Eriksson expected before he found the courage to come out. Dan has been there twice. He has had those thoughts about ending his own life, but he also has experience of being a close relative to one with such thoughts. His older brother Anders took his life at the age of twenty-four. At present, Dan Eriksson works as a volunteer in the non-profit organization Suicide zero. There, he tries to increase awareness of suicide as a social problem, but his speeches are deeply personal. 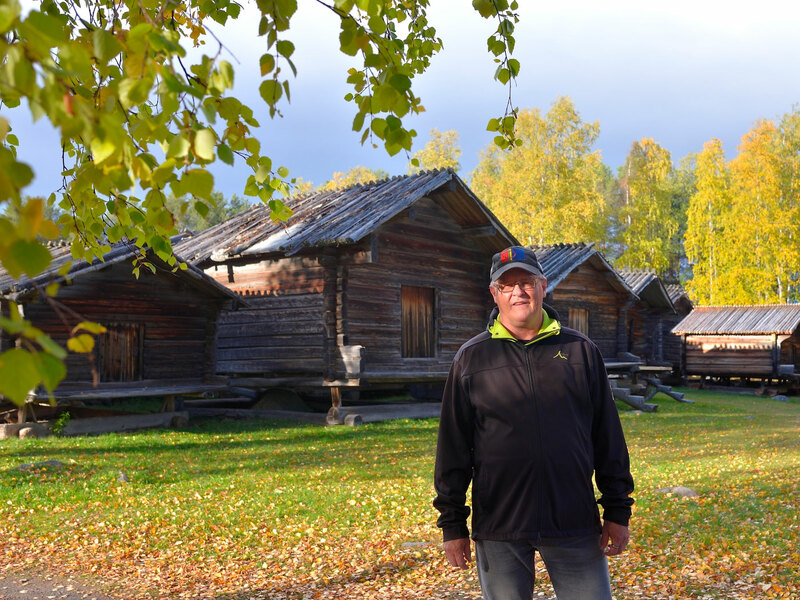 Dan Eriksson’s interest in his Sámi background has grown gradually. He considers himself a Sámi, but does not feel that this would have influenced his life in a special way. 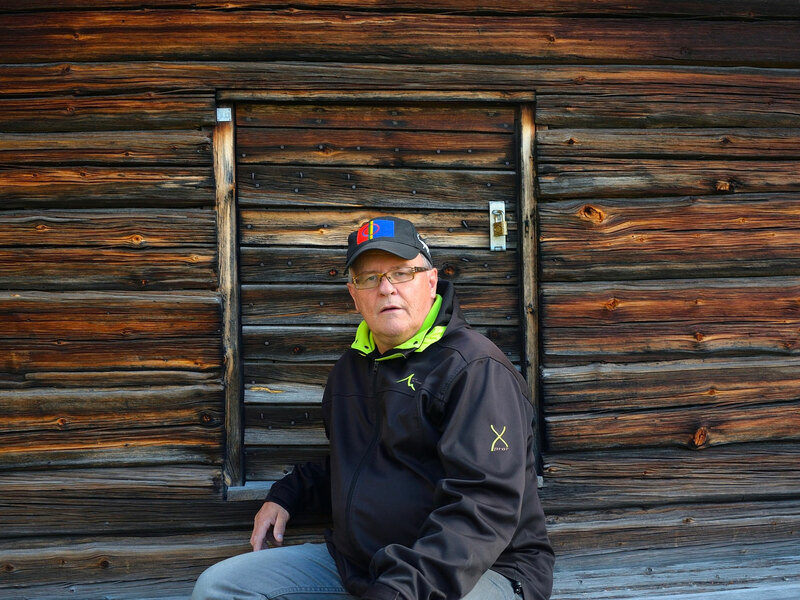 Dan Eriksson likes to direct his words at the Sámi as a group when giving a speech.